Cisco is bringing rock music to San Diego for the annual Cisco Live Customer Appreciation Event (CAE). One night where Cisco holds a concert for all the attendees of Cisco Live. The headliner for the 2019 CAE event is none other than Foo Fighters! Bringing along the frontman of the band, Dave Grohl makes sense. It’s the type of music you listen to while troubleshooting or configuring. For those of you who don’t know the Foo Fighters, don’t write them off just yet. Dave Grohl founded Foo Fighters after Nirvana. The musical style can be described as hard rock. The Customer Appreciation Event performer is often a major interest for Cisco Live attendees. As we get closer to the event more and more people begin asking who will be performing. In San Diego, I imagine the CAE will be held at Petco Park home of the San Diego Padres. It’s a baseball stadium across the street from where Cisco Live is held. A beautiful stadium too. What do you guys think of the CAE performer? Let me know in the comments below. Cisco Live is making its way back to the West Coast which is easier for me to travel and attend. There’s no excuse to miss it. 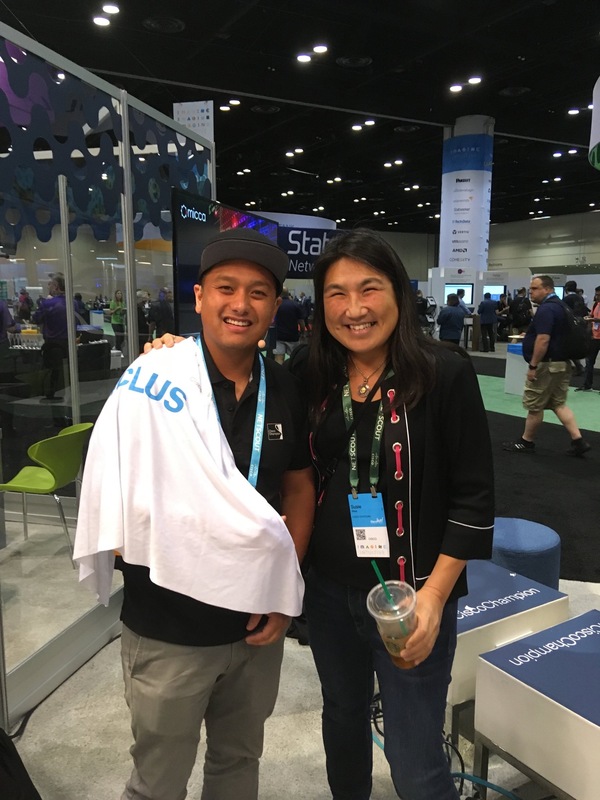 I’ve attended Cisco Live since 2016 and have had a great experience each time. It gets better every single year for me. And last year I probably attended more social events than sessions but I also learned the most. While San Diego hotels cost a lot more, the location couldn’t be far from perfect. I used to live in San Diego for over 10 years. 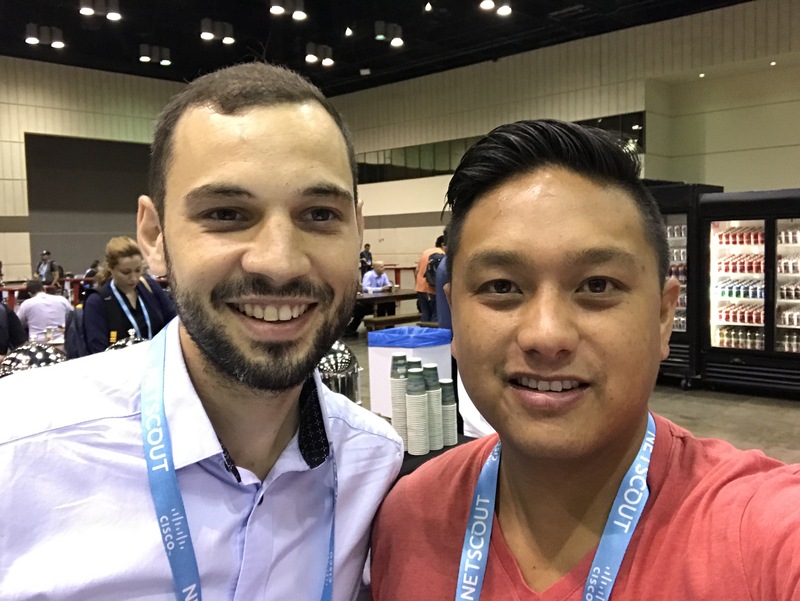 I also wanted to provide some tips post-CLUS. San Diego is a great vacation destination so I assume many of you will be spending personal time, either before or after Cisco Live. Anyone going to Cisco Live? Skip the lines, don’t line up for coffee! With the C9800 WLC announcement, we can guarantee to hear a lot about the IOS-XE based controller. Completely different from the converged days I’ll be booking my sessions to learn the ins and outs of where Cisco wireless is headed. Still, one of the best sessions you can join if you’re a new or seasoned wireless professional. If this is showing up for 2019, I highly recommend attending this one live. Steven Heinsius puts on a good show, he’s entertaining and keeps the discussion fun. His sessions get filled easily, even though Cisco gives him one of the largest rooms! What’s new with Mobility Express? Are we going to see any updates? Mobility Express has potential as long as Cisco can continue to develop this platform. They can easily get preoccupied with Meraki and the new IOS-XE wireless LAN controllers. Cisco has been pushing the intent-based networking message for many years now. How far have they come along? Is DNA prime time? When should we move to the software-defined networks? How does it compare to the competitors’ solution? Do we still need multiple servers to take advantage of all the features? I’d like to hear some use cases of who has DNA in their environment and how it’s working for them. If you haven’t heard from Clear To Send, in our news segment of episode 160 and 161 we mentioned new APs that were identified in FCC applications. Will we hear about 802.11ax at Cisco Live US? 2019 would be posed to be the year of 802.11ax. Looking at Cisco Live Barcelona there are one or two sessions on designing for 802.11ax so we could see this coming up soon. One goal for me in 2019 is to focus on learning Python. It’s inevitable for network engineers. We want work to be faster, more efficient, and automated. When it comes to working with Cisco technologies, what can we do to utilize APIs to extend the capabilities of our devices? What data can we gather to display actual results or actionable next steps? In addition to the sessions catered to programmability, I highly recommend checking out the DevNet Zone in World of Solutions. There are multiple different sessions available tackling automation with Meraki, access learning labs, workshops and more. You get hands-on in the DevNet Zone. You can catch me recording a Clear To Send episode at the podcast domain. Ever since this has been included, thanks to Lauren, I’ve enjoyed interviewing different people from within Cisco. You can check out some of these episodes here: Cisco Advanced Services and Location-Based Services. Being part of this great group of individuals has truly been a game changer at Cisco Live. All Cisco Champions have gathered together for group photos, tours of the World of Solutions prior to Cisco Live, viewing future technologies Cisco is working on, and getting a whole lot of interaction with fellow Cisco Champions. Cisco Live is one big social event. I find that I learn more by speaking with my peers. While we all chat on Twitter, Slack, and WebEx Teams, it doesn’t match the interaction you get in-person. There are many meetups and parties you can attend to meet new people or finally meet that person you’ve been tweeting with. 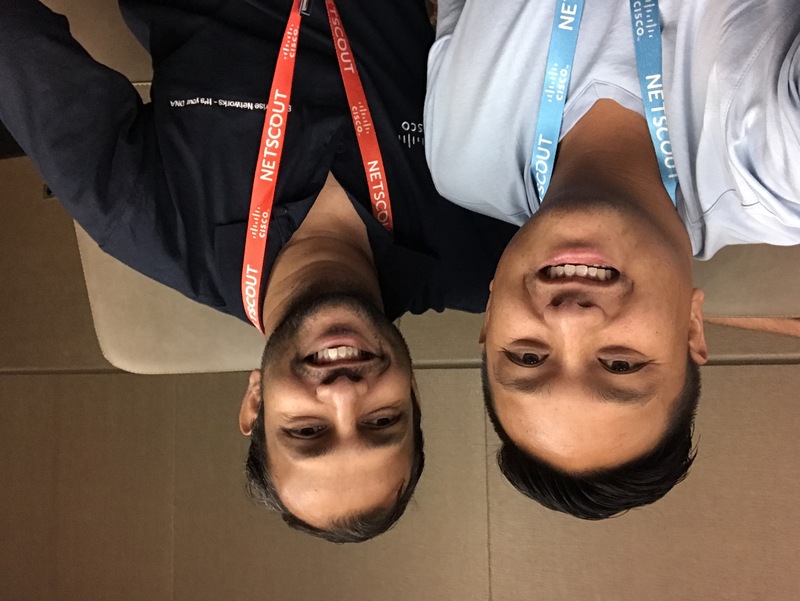 Stay on top of social media to find out when Twitter, Cisco Champion, happy hours, and other meetups occur. Bring sandals (to hit the beach after your last session). Add Lyft to your phone. You’ll want to get places quickly without renting a car. Add Lime to your phone. Don’t want to ride in a car? It’s San Diego, take a scooter down the Embarcadero. Bring a hat. San Diego doesn’t get too hot but it may be sunny! 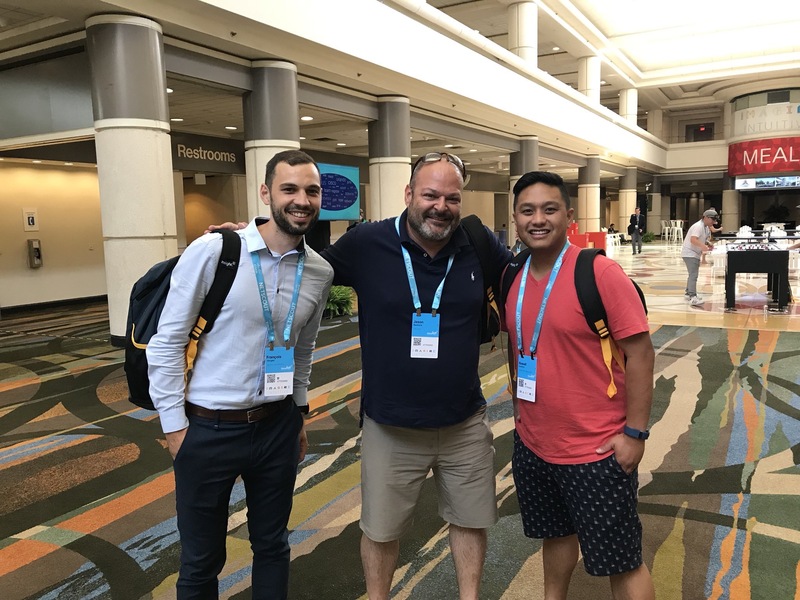 Here are some of the highlights from the last three years attending Cisco Live. Meeting Bruno Mars before his performance. And yes that’s him, not a wax figure! Just a quick drive over the Coronado bridge and you’ll be in one of the most scenic locations in San Diego. Make some time to dip your feet in the water and grab a drink from the Hotel del Coronado. Take a couple of selfies of this wonderful beach. Did you know the dunes in the sand spell out Coronado? Only 20 minutes away from the convention center is a popular destination in San Diego. Balboa Park is home to Spanish architecture and incredible museums such as the Space Museum and historic museum. If your family is coming along for the summer vacation, be sure to stop by the zoo. It’s next door to Balboa Park. It’s a large Zoo with plenty to see. Take a Lime scooter down the Embarcadero. It’s a beautiful location. You’ll have the wind in your hair. Just watch out for the pedestrians. Perfect place to take your kids. Adults love it too. Last time I was here they had the actual set from the Lego Movie. Have you ever set foot on an aircraft carrier? San Diego has one that was converted into a museum. It’s a short walk from the Convention Center and is worth checking out even if you just want to take photos. Cisco Live is really about relationships. I go to this event because I value the people I interact with on social media and look forward to seeing them in person at this yearly event. It’s also a great time to meet new people, learn new technologies and a way for me to get excited about what’s to come. Get out of your comfort zone and walk up to people you may know from Twitter. Let someone know you’ve read their blog. We’re a friendly bunch. Introduce yourself and share your knowledge no matter how much you know. Just arrive with a smile. 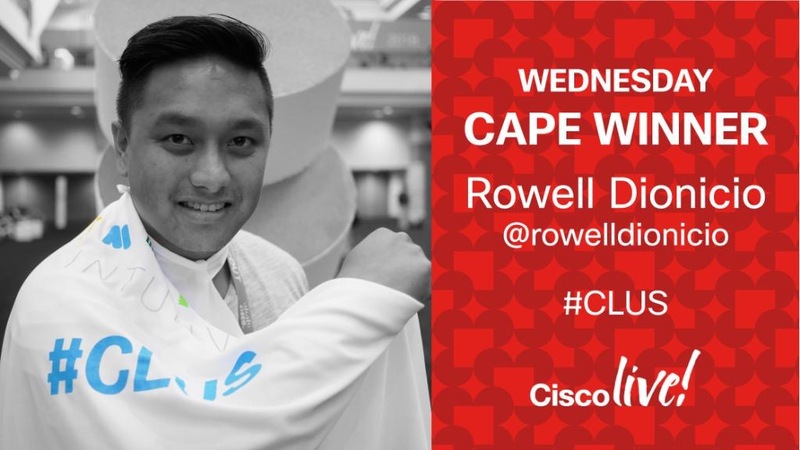 You can catch me at Cisco Live 2019. Hit me up on Twitter and come find me. I’ll be handing out Clear To Send stickers. Think Python is a free book written by Allen B. Downey. It’s the second edition which covers Python 3. Think Python replaces his original book, How To Think Like a Computer Scientist: Learning with Python. Allen B. Downey is a computer scientist and professor. Honestly, the learning style just wasn’t for me. The most I got out of it was learning about functions. But I nearly finished all the lessons. What draws me into Think Python is the teaching style. It’s straight to the point without anything extra or unnecessary. The examples are easy to follow. Each chapter has a few exercises and includes a glossary for the chapter which I found very useful. Another good reason to read Why Think Python, it’s free. You can download the PDF or view it in HTML online. I’ve struggled to find a learning process that is both simple and easy for me to follow. Largely, my schedule and commitment to coding have affected anything I do with Python. So I’m coming around again in 2019 to document my progress. By sticking with Think Python, starting out with the Interactive Shell, Atom, and a few good people online such as Josh Schmelzle and Hank Preston I believe I’ll make some useful scripts with Python to automate more of what I do. I had forgotten to add a Links & Resources section to the Clear To Send show notes for episode 60. I was adding links to the upcoming Cisco 802.11ax access points. These FCC applications were submitted in January 2018. But it appears that this may be released soon. Here’s an idea of what the AP will look like including the label and it’s location on the access point. The boxes are most likely not to scale. 2019 could be the year all the vendors release their 802.11ax access points.